US EPA’s trigger level for addressing lead in drinking water—15 parts per billion—is not based on any health threat; rather, it reflects a calculation that water in at least nine in 10 homes susceptible to lead contamination will fall below that standard. 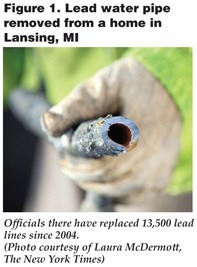 Researchers and officials say water contamination problems extend well beyond lead. 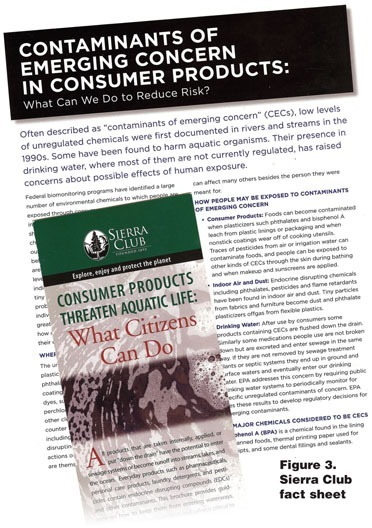 Many potentially harmful contaminants have yet to be evaluated, much less regulated. Efforts to address shortcomings often encounter resistance from industries like agriculture and mining that fear cost increases and from politicians ideologically opposed to regulation. The shocking news from Flint, MI has sunk public confidence in home drinking water like a lead balloon. High levels of health-threatening lead in Flint’s water has drawn national attention to the disastrous consequences of failing to properly maintain a public water system to prevent corrosion (Figure 1) and dangerous lead contamination.What has Flint taught us? More than ever, final-barrier treatment is needed. Final-barrier treatment (called POU) is technology installed at the point where water is consumed. It can be an adjunct to central treatment as well as primary treatment in homes using untreated well water. But where did this uniquely powerful term for POU originate? 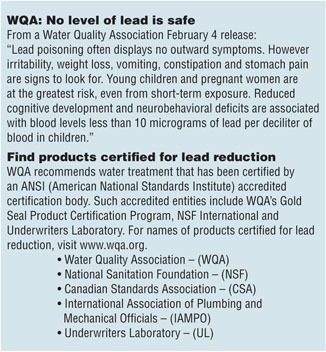 Regu P. Regunathan, PhD, President of ReguNathan Associates Inc., technical consultant to WQA and well-known as a long-time advocate of the final-barrier approach, claims he first voiced it in 1987 at a US EPA meeting in Cincinnati, OH. “It didn’t catch on right away, but eventually the Water Quality Association built their POU promotional efforts around final barrier. Former WQA Executive Director Peter Censky and former WWA President Richard Mest led the efforts,” says Regunathan. WQA reminds us that only one percent of all municipal water is consumed by humans. Therefore, it seems that the future of water treatment will be to treat it once at the central plant to protect the immediate health of the general population. 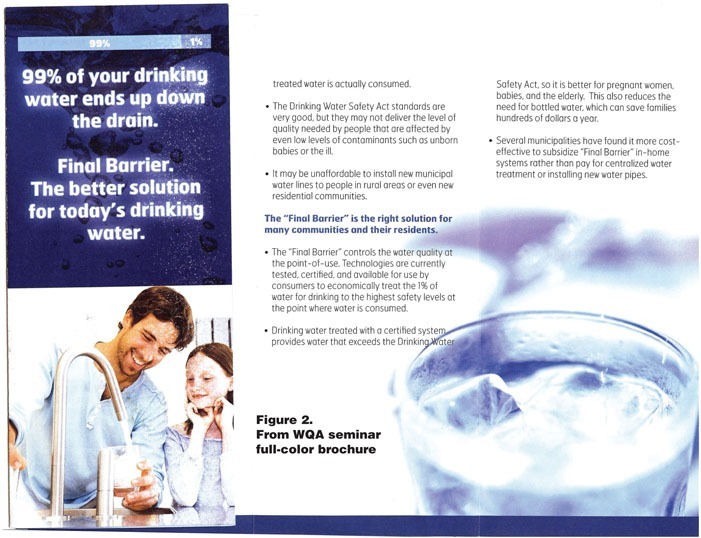 Final-barrier water treatment, applied at the point of use, is in the hands of dealers and their customers, working together to determine the appropriate solution in each case. Well water customers will benefit from the same protective partnerships with professional dealers.